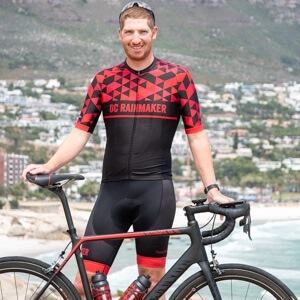 DC Rainmaker Cycling Kits (Finally) Now Available! Woot – finally, they’re here! Well, mostly here. 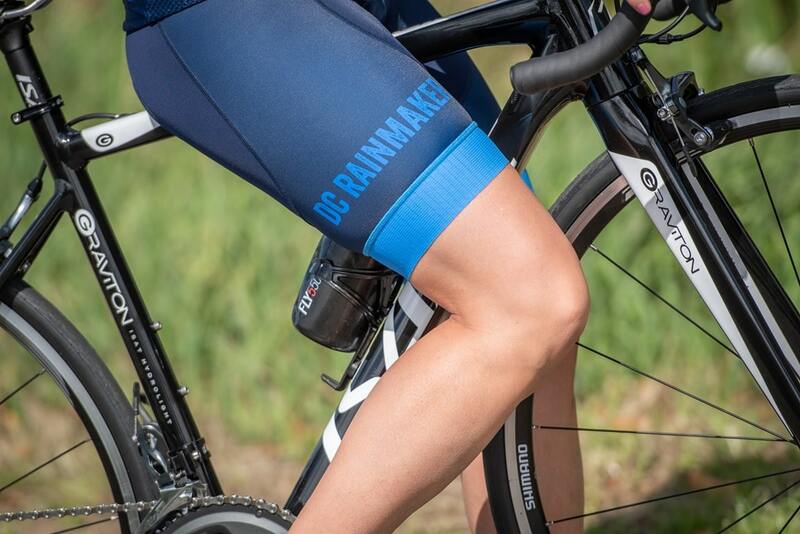 You can order them, which makes them virtually here: The DC Rainmaker Cycling Kits! You first saw them almost three months ago starting in posts and YouTube videos back at Eurobike (seriously, it’s been three months?). Both myself as well as The Girl sporting them. But in reality, the process has been much longer, including nearly 6 months of testing out fabrics. 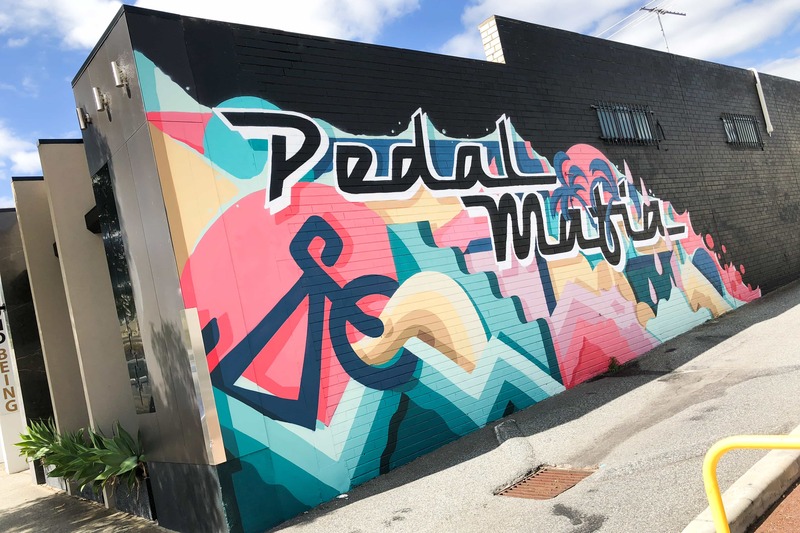 See, the kits are made by Australian company Pedal Mafia, which I met up with during my multi-month stay in Australia this past winter (their summer). At that point I started testing the fabrics of a non-DCR kit that would eventually serve as the same materials/fabrics/style for the DCR kit. You have probably seen me wearing a mostly all-black kit several times on posts since then. While riding it all winter long we went back and forth on designs for much of the spring, resulting in the first test kits back in June. Since then I’ve been pretty much exclusively riding in either of the two colors for most rides, and as a result, they’ve been getting even more time than normal in the washing machine. Like everything in my life – if it can’t go through a clothes washer or a dishwasher, it’s useless to me. Wait, you don’t wash your GPS bike computers that way too? Huh. In any event – there’s two options available for the DCR kit: Red and Blue. Red is my favorite, while blue is The Girl’s favorite. As noted earlier, the kits are made by Pedal Mafia, which is a higher-end Australian cycling brand. The breathable and stretchable fabrics are all Italian sourced, and the ink is by a Swiss company (which are guaranteed not to fade or run). 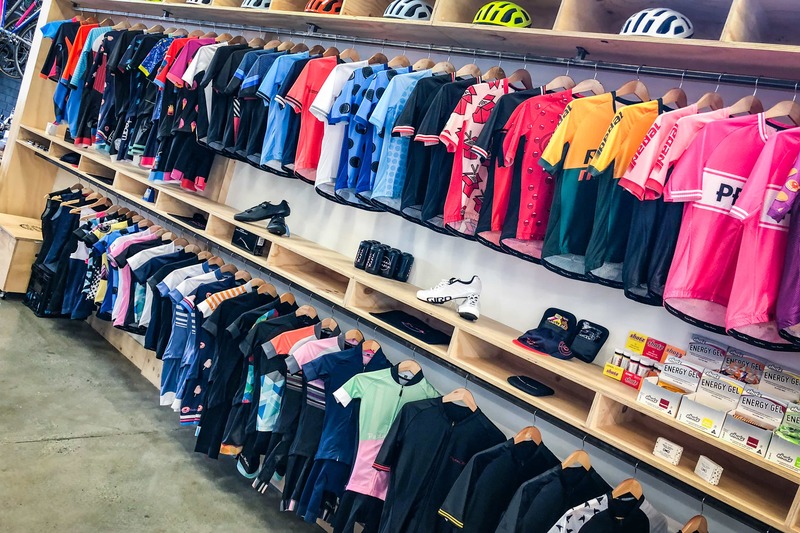 The four-layer chamois and materials are virtually identical to those found in popular Rapha kits. Without question it’s my favorite kit I’ve worn from a comfort standpoint, though, I would say it’s also the most form-fitting one as well (I promise: I’ve eaten less cookies in at least the last 2-3 days). Oh – and there are both men’s and women’s variants of both colors, in sizes of: XXS, XS, S, M, L, XL, XXL. The kits include three main pockets on the back, plus one small zippered pocket lower down the on the right side (if facing the persons back). The zipper covers on the back of the jersey are actually made of a reflective safety material, as is the small tab on the back of the jersey. And there’s matching socks too – though, we didn’t get the DCR variant in the sample run because of the logistics of getting a single pair of socks printed was tricky. But I do have the non-DCR branded Pedal Mafia socks and I’m happy with them. I even wear them from time to time. The cows and horses in the fields near us were looking at us taking photos for an hour like ‘You guys are the worst cyclists ever, you still haven’t gone anywhere yet’. The way the ordering period works is you’ve got two weeks from today, which goes until October 12th. Kinda like most team kits the orders are taken up-front and then delivered about a month after the closing date (mid-November). All shipping is done via DHL Express worldwide, and we managed to work out a ~$10 flat-rate shipping no matter if you’re residing in Indiana, Israel, or Iceland (that global piece is the bit that took a wee bit of time to get sorted). I really wanted to ensure everyone, anywhere, can access these, and not just limited to America or Europe, however there are some countries that still aren’t offered yet – we’re working on it! If you’re in one of the countries that’s not listed and want to order a kit – drop me a note via the ‘Contact’ button up in the corner. As you might imagine we’re trying to add as many countries as possible, but with something like 120 countries that have regular visitors to the site daily, we had to start somewhere. For those who are not cyclists – don’t worry, we’ll soon have some t-shirts, water-bottles, and hopefully a running singlet too. But we wanted to get this cookin’ since so many of you have been asking for it. Anyway – hope you guys (and gals) like them. We’re super excited about how they came out and look forward to seeing pics of them on everyone. Again, here’s the ordering link! Thanks for reading, and have a great weekend ahead! « TrainerRoad rolls out new forward looking calendar, planned workouts. Set to raise prices. Looking good! And reasonably priced. The red edition for instance contains a lot of black which doesn’t improve the visibility of the cyclist. The blue edition is still quite dark. Also, reflective strips should be integrated on the sides by default in pants and shirt. If you ever create a lighter edition (in color that is) which includes reflective strips, I’m buying it immediately! You run your gear through a drier ? Doesnt that cause shrinkage etc of tech kit ? I only ever air-dry my running gear. Anyone else want to chip in and tell me I’m wasting way to much time and can just cool tumble it ? Oh yeah, everything always goes through. No shrinkage. Yeah. I like hi viz color for the road. Also a good idea on the mtb during hunting season. Reflective bits help at night but do zero during the day. I generally buy only brightly colored cycling apparel. @gingerneil, we have a sportswear setting on our LG dryer that uses steam and alternating low heat and air dry intervals. Dries cycling and running gear beautifully in about 30 mins. I always suggest that people dry technical wear inside out to avoid catching zippers, drawstrings, etc on the fine outer finish of their tech wear. And of course, I always recommend you invest in a proper tech wash, or tech detergent like SportSuds or Rank to ensure that tech wear doesn’t get detergent residue all through the fabric fibers. Simple things, but you’ll have your high end gear for longer this way. +1 for high vis. Orange would’ve matched your helmet? Orange & light greys would’ve also matched much of the theme of the website as well as being far more contrasting and visible… Also Blue, Black and Red don’t contrast and just ‘fade’ into shadows! Orange/Grey flip for iteration 2? 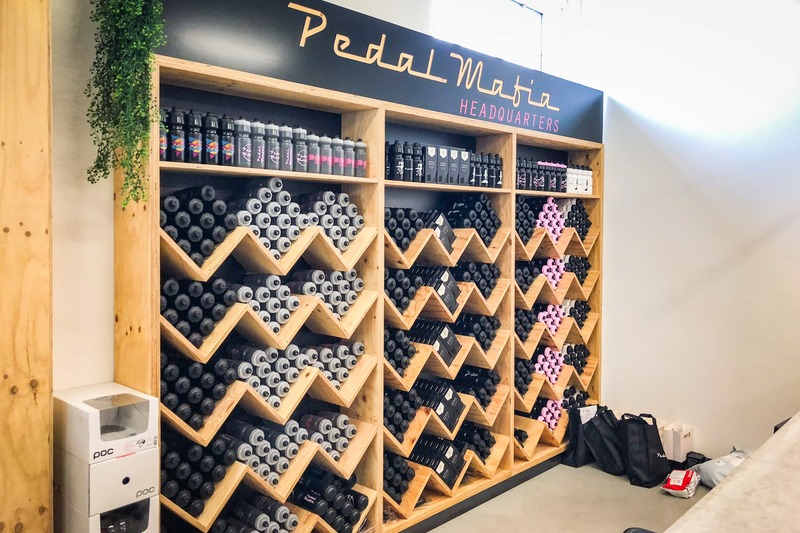 i am not so much a fan to cycle around with a name that large but tx for pointing me to Pedal Mafia 🙂 they have a great choice – different to the standard. 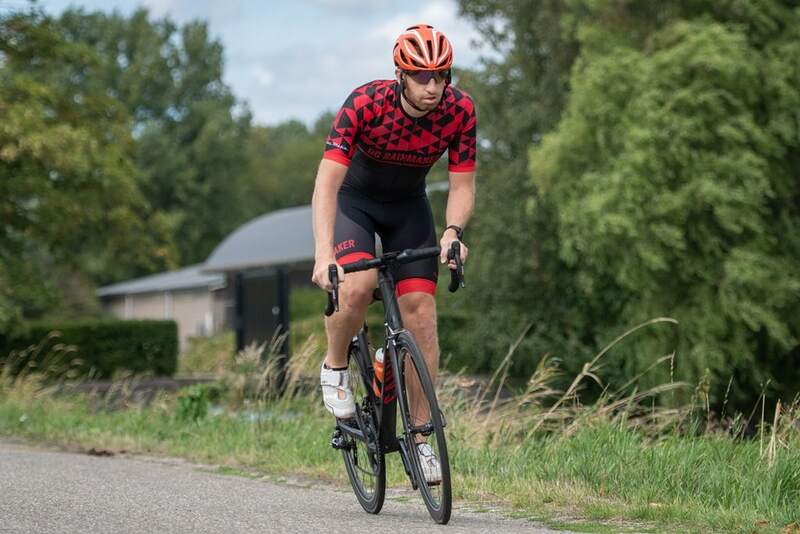 Damn, i just ordered a black red GCN kit! Buying 2 new kits will be a bit overkill, sorry Ray! Now, any way we can ride the kit in Zwift? It should be defintively be there as well :-)! Yeah, Google Adsense at work. Unfortunately it’d be like playing whack a mole for other kit companies since I have to know the names to block (and honestly, I figure if someone likes a kit they see somewhere – go forth!). Ray thanks! great looking kits ! but … terminal fashion faux pas !! Adherence to the rules does not apply to triathletes only cyclists. Great looking kit! I think I might have found my Christmas present. It’s been an expensive week for kits. Your kit, the TR kit, and a jacket I saw on Pedal Mafia’s site. For the future, maybe a fall/winter kit option, as well as a summer option. Yeah, a fall/winter option is definitely in the cards. But honestly just need to see if there’s interest based on the jersey/kit side of things. Understood. I have more than enough warm weather kits. I do need 1 – 2 more fall/winter kits. 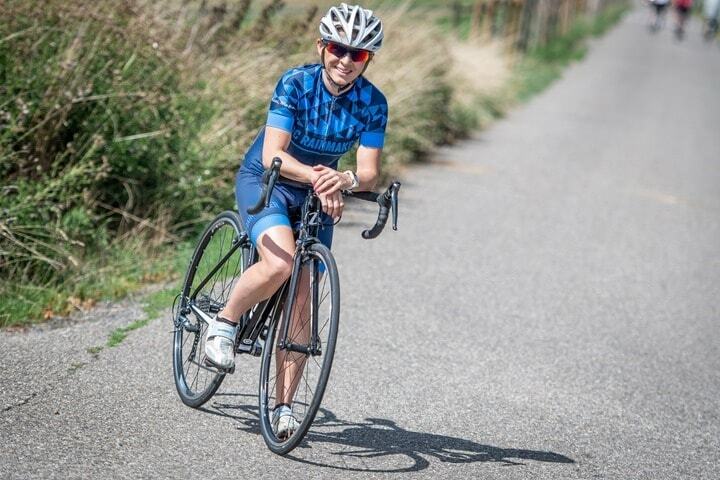 Great for tandem teams – Mens and Womens specific kit in the same colours/pattern. You’ve no idea how hard that is to achieve without getting custom kit made. Handy that you posted the sizing link in the article. I did not see it in the store. Ah, found it at the very bottom of the page. Their sizing seems pretty small. I’m M for endura and dhb stuff but seems to be S for pedal mafia. Hmm, I’d double-check your measurements. For me I ended up sizing up slightly on the bibs, but was the same for the jersey. It was interesting that the prices that were quoted in USD didn’t match the final bill that was charged in AUD. The good news is that it ended up being $35 cheaper for me once it hit my CC so I’m not complaining. Fwiw, shipping is a real-time currency conversion. Which is why I list it at ~$10USD. It’s a weird quirk in the way that component works in the store platform because everything is actually based on AUD. Ah, strung by my own mankini… DCR mankini? Anyone? 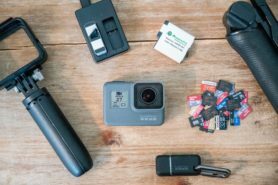 Will you be adding the kits to Zwift? Would love to ride on Zwift with your brand. We’re looking into it for sure! Thumbs up to The Girl for wearing her glasses outside of the helmet straps AND taking the little plastic thingy off of the tire valves. Ray – do you know what to the sock sizing is like? Their sizing page doesn’t define the sizes for socks. I’m finding out. Good question! Hoping to have a table/sizing chart/something shortly. Love the kits, and I’ll probably end up ordering one, but … no love for triathletes? A nice onesie … err, I mean trisuit would be sweet and jump to the top of my must have list. Yeah, that’s definitely on the short-list! please take my money…once i tell my wife about it. They look great. Any plans for some winter kit, long legs and sleeves? Definitely. We just had to get these out the door so to speak, and then judge demand for embarking on design for the other wintery-focused pieces. Depending on how demand looking over the next few days, we’ll make the call to go and and see if we can move quickly on design for those parts. That would be great. It seems to me that a lot of winter clothing design is very dark, that seems odd to me. If you could make the winter design as bright on the bottom half as the top that would be really good. And which are the countries included? I can’t find the list. Here ya go (the current list), if there’s a country missing on the list that you’re looking for – definitely let me know. We should be able to get most countries added, it’s just a manual process to add them in to setup shipping rules for it. Running singlet would be great too! You could make some clothes with UV protection, at least 50+; something light and ventilated for when sun is shining. Of course with long legs, my doctor has forbidden shorts for me; sleeves down to the gloves (yes gloves when sun is shining) and for me riding only mountain bike padding could be optional. 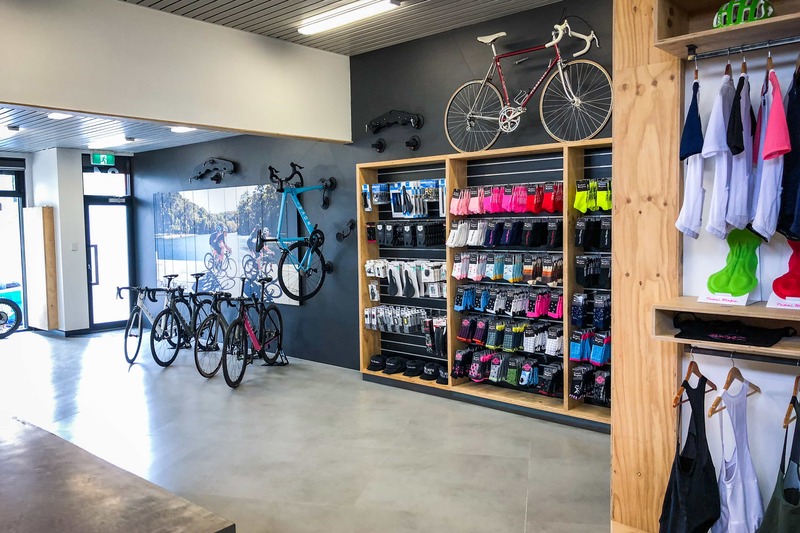 You make that for us poor people with skin cancer you would have bike clothes in a niche without competition, and the way our silly politicians act (read: not act), that customer group would grow faster than any other customer group. I used to spend 5 – 8 hours in the saddle in the sunshine 3 – 5 times a week and probably caught the nasty sun disease in the mountains here. Above the clouds sun is stronger and air is fresher. Specialized used to make Demo Pro Pants with 50+ protection, and since they stopped no other brand seems to have interest in UV protection. 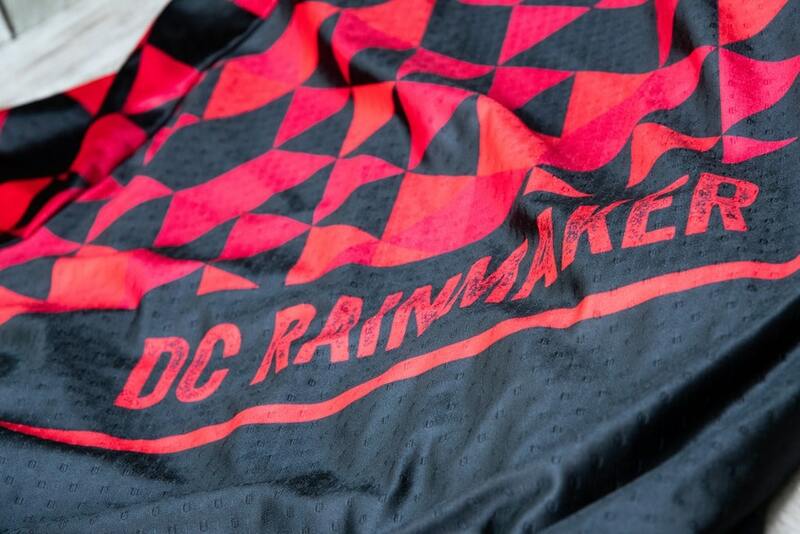 Decent looking kit, but why would anybody want to pay good money to become a rolling billboard for DC Rainmaker? To each his own I guess. I feel like I am the only cyclist that doesn’t like bib shorts and likes sleeveless jerseys. Guess I am just an oddball. Lovely looking kit but from my households perspective pedal mafia are another manufacturer to suffer the issues with the smaller sizing. The smaller female sizes are not really very good with 3 pockets! My GF has countless jerseys that are a pain in the backside to get anything substantial into the pockets as they are just too small. All except her Chapeau winter long sleeve that has 2 pockets that are basically the same size as my normal 3 pockets. perfect for things like the Rapha essentials case or a phone bigger than a iPhone 4. Dangerous road to go. I think its okay to charge for services and sell books. Even merchandise like cups and waterbottles could be okay. You sort of sell your acumulated expertis. But when you start to sell items with your own branding in the same field that you have to critizise and review you start to edge in the “danger zone”. Do you considered yourself a free journalist or a businessman? Can you be both? If so. Have you thought about how things like this can change your perspective? Would be awsome for a post about that. For example when talking to a tech company and they say “Well you know… We have to make a profit… You know… Right? !” and you automatically say “Yeah… Well dont we all?” What I medan is what you do and how you see things will change the way you ask questions and write text. My two cents: Just take care of yourself so you dont loose something others have liked about the service you deliver. 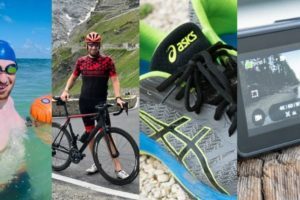 I don’t review apparel, nor other cycling gear. Not water bottles or cups. Not t-shirts or nutrition. Not bikes either. I don’t even write books. I have zero plans to do so. 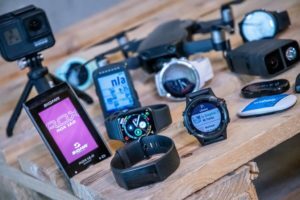 I review sports tech, mainly GPS devices, action cameras/drones, and other wearables. I’m simply making something available that countless have asked for. 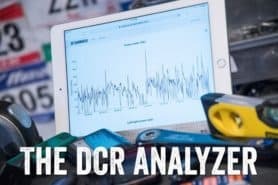 If folks want to order a DCR kit – cool. If they want to order a CyclingTips kit, that’s cool too (because they are cool kits). If folks want to do like I do and use random jerseys they have from the last 20 years, that’s awesome too (cause again, that’s what I have as well). Im more interested in what you do and how you think than what people do. Your comment implies that you either havent thought about it or that you dont want to think about it or dont want others to think about it. Maybe Im wrong? How so? I asked: Can yo be both a businessman and a journalist? If so. Have you thought about how you do it and if that change the way you think or act? What do you see yourself as? Influencer? Businessman? Blogger? A mix of everything? Why I ask is not to be rude. But I as a reader cant tell. And that makes me confused and it raises questions. That is why I ask. I don’t think the announcement on Friday makes me think differently about how Ray would deliver content than Thursday. He has a reputation in the industry that I believe won’t be affected by this in any way. I read Ray’s posts with interest and would like to support him. From my point of view this is a great way for me to do that. I think about it 24×7. Ultimately, any site has to think about business aspects. Any site that doesn’t isn’t sustainable as a long term option with as much depth as I hope to provide daily/weekly/whatever. For example, you can do what I do as a hobby for a long time, some do in fact. But eventually there’s a time element that takes over: Do you spend time working on your day job that brings you money to support your family? Or do you keep doing it as a hobby. Obviously, I made that transition about three years ago to this as a full-time job. The point of that is that like 99% of sites on the internet, this site is a business. A small business that’s technically just myself and The Girl, but a business nonetheless. So is the New York Times, the Economist, and even Consumer Reports. They owe it to their employees, and those employees families to generate revenue. If not, then people won’t produce content and readers get nothing. However, it’s important in any business to diversify revenue streams. I’ve made a very key point of not taking money from the companies I review. Unlike most magazine and all mainstream cycling/running/etc sites I’m aware of, I don’t accept advertising revenue from the companies I review. 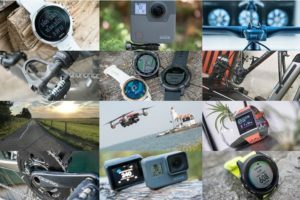 So Garmin, Apple, Polar, Suunto, GoPro, etc… none can advertise with me. Physically blocked from doing so. Additionally, I give advise to a handful of Wall Street companies using a 3rd party service that are looking at understanding this sector. Note that I’m simply consolidating what I already write on the site into something that can be digested in 10-15 minutes. The key thing you’re not seeing there is ads from companies I review (or heck, I virtually never do any advertising deals as they’re not worth the management overhead). I’m honestly not sure I answered the question. Cheers. You are right. Everything has a business slide. In New York post or any other site in that size category the usually seperste business from the journalist team. I dont want to say money corrupts. But it can change how things are done. You dont have that luxuary and have to do both. Its nice to know that you think about it so you answered that question. I would actually like a post with a more in depth dialouge. What is DC Rainmaker today? What has been your journey and growth and how do you think about content and buissnes today? Next time you could link that post in posts like this one as a disclamer or for people like me in posts. Ray, this is a fantastic idea and great looking jersey! It will be a nice conversation starter when I will meet other people wearing it in Paris, France. 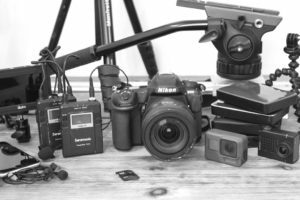 Most of my friends in France know about your reviews and few buy any equipment without reading your review! I really believe that 99% of your followers would love the idea! I understand for exemple when people complain about a poor design for finisher shirt since you don’t have the choice when you sign up for a race! In your case, I would think that if someone doesnt like the design, they should keep it to themself and not buy it! Btw, i love the way your wife is writing the weekly update, it complements very well your reviews! Hmm, I don’t know. Let me try and find out. Kit is a great just before the holidays – certainly can break them in on the trainer. Hi Ray, Which brand and model tri shoes are you wearing in the pictures? Thank you. 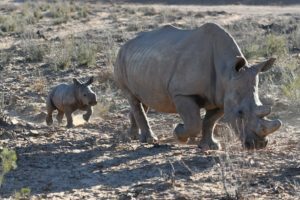 Hey folks – super quick update! 1) Sock sizing now shows up on the page, woot! 2) India is now in the list of shippable countries. Well, I mean, you can ship to India, you can’t put India on a ship. Too big. You can only ship countries the size of Spain, obviously. Will there be more ordering periods later, or will they be made only once? I would like to get a cycling kit at some point, but I don’t think I would be able to use it before spring here in Norway (I had 0°C on my way to work this morning). But I might just get it now anyway! It’s not quite decided on future ordering periods – it honestly just depends on if there’s enough interest to do it again down the road. Wish I had a better answer – but just something we probably won’t determine near-term. Ray, will the kits be shipped from Australia or Europe? I am asking because the customs in Greece if the kit is shipped from Australia (but I suppose the same happens in other EU countries) will impose not only delay on delivery but also additional customs clearance + VAT cost. This can be up to 40% of the actual price since we are plain citizens and not corporations if you understand what I mean….. It won’t be shipped from Europe, that I know. I don’t know off-hand what the exact distribution is for all the countries. Some countries will ship straight from the factory in Asia, while others will ship from Australia. I can find out. Just got a note from DHL regarding customs. They’re asking a freaking 45,99€. I’m based in Germany. Hmm, I don’t know what the import rate is on Germany for clothing, but that seems high – even if you ordered the full kit (I don’t have access to customer data for who ordered what – that’s all handled by Pedal Mafia). Same here, I live in Paris and Iam told that I need to pay 38 Euro taxes for a 65 Euro Jersey, this is very steep! Ok, just found it. I ordered a medium bib, but a large jersey. I’m 6’2” tall. I remember trying on the medium jersey and while it did fit, I found it a bit snug for my ice cream lovin’ stomach. Enjoy! My kit arrived a couple of days ago and the weather cleared enough to go for a ride today. Without a doubt the comfiest cycling kit I’ve worn, and my friends were jealous of the styling. It’s here!!!!! And it fits perfectly. Can’t wait to represent in the warm weather….in a few months. Are you going to open the store for a second round of orders? Yes. We ordered a small pile of extra red ones (in a variety of sizes), and I think we’re super close to having them listed on Clever Training to order. The kits are already there, so one we go live it’ll be immediately availability. Albeit, also limited availability since we honestly didn’t order a ton of each size. I’ll post here once that’s up. I’m hoping within the next few days (but then again, I said the the same thing last month).